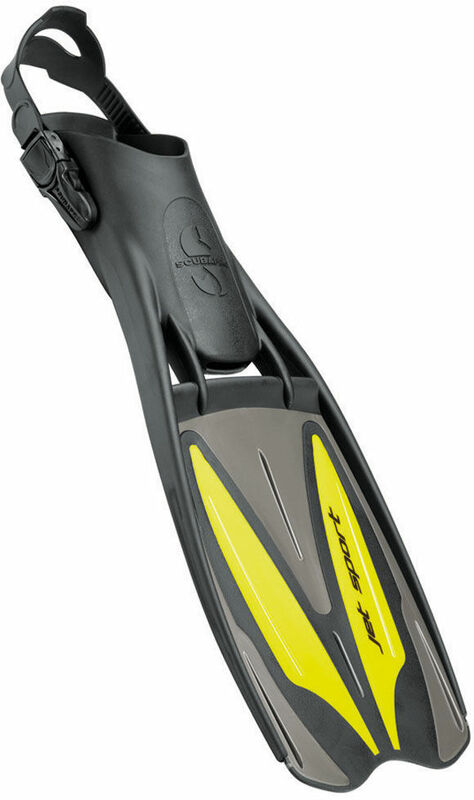 If you're a fan of traditional blade fins, the JET SPORT ADJUSTABLE will definitely impress with its power, acceleration and maneuverability. 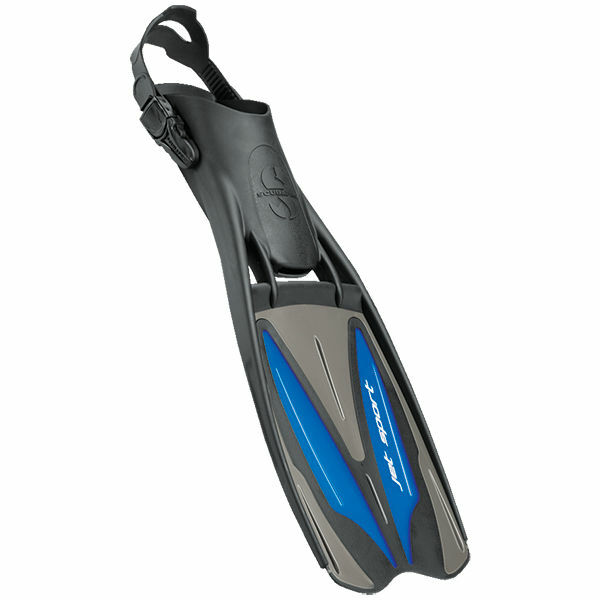 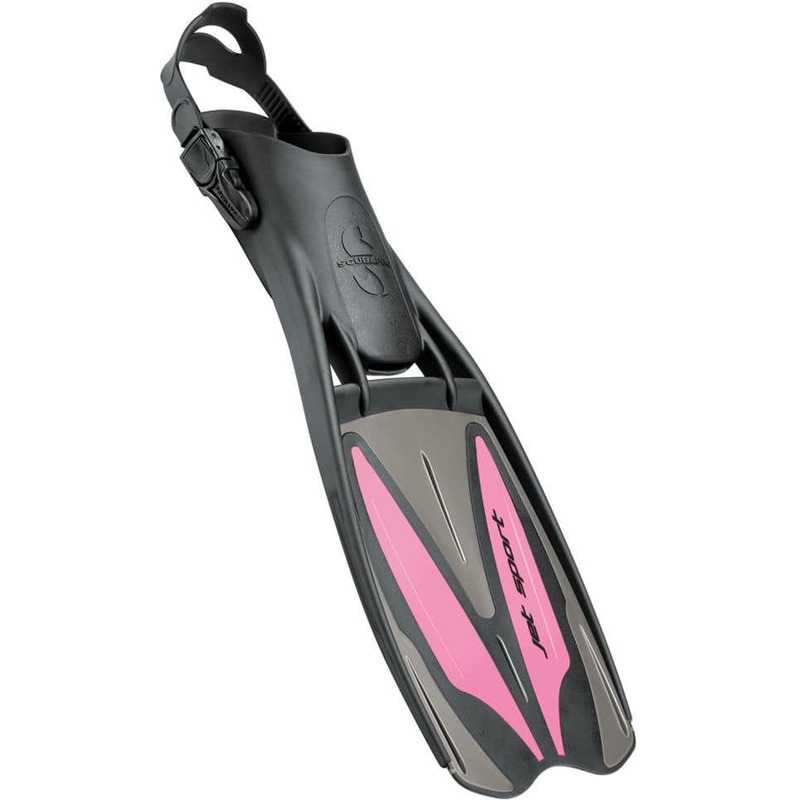 Lightweight and comfortable, with a big, slightly stiff blade and a soft rubber foot pocket, this fin generates propulsive kicking power, provides good stability and makes efficient work of frog and dolphin kicks. 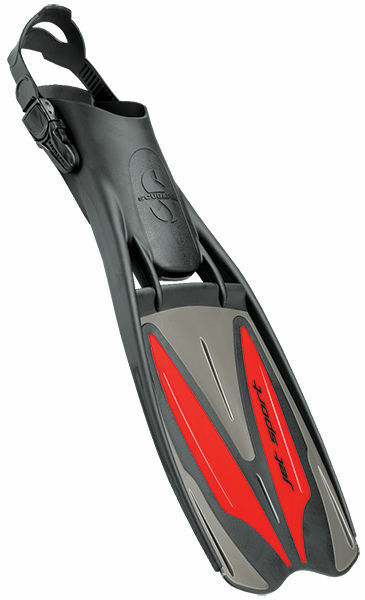 The fin is easy to maneuver too; responsive in turns and able to back you out of tight spots with ease. The rubber foot pocket molds comfortably to your foot, and the strap adjustments and quick-release buckles make donning and doffing the JET SPORT ADJUSTABLE oh-so-easy.